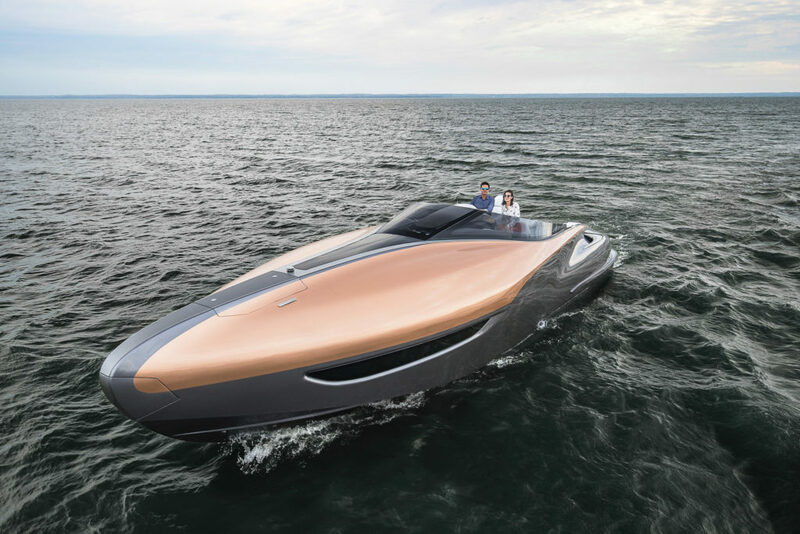 From the wild shape to the crazy color the new 42’ Lexus Sport Yacht concept is just plain cool. 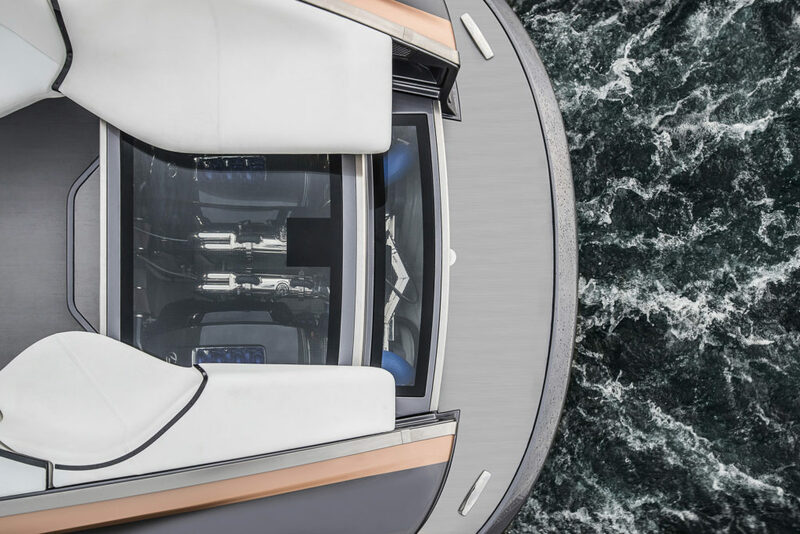 Really check out the details, like the glass cover over the engines allowing you to see them as you board, or the LCD display with secondary integrated display in the steering wheel (Wider Yachts was the first with this steering wheel), even the way the forward windshield flows into a glass skylight for the cabin below is just amazing. 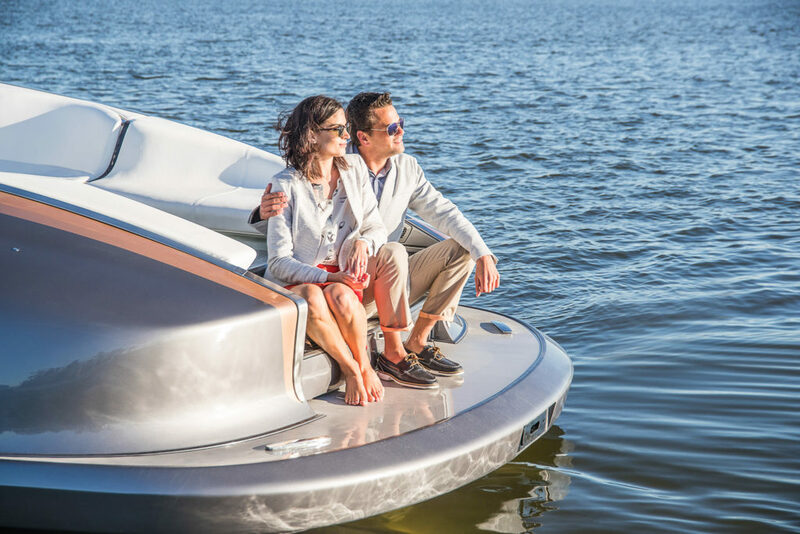 Don’t look for this to be on sale anytime soon though. 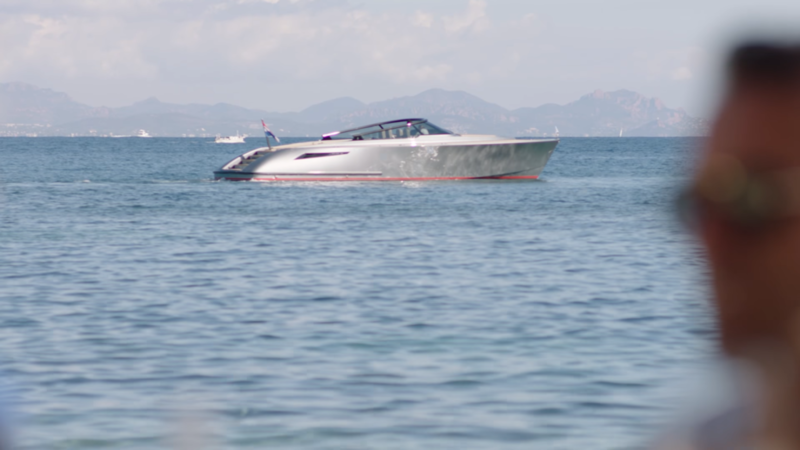 This is just a proof of concept. 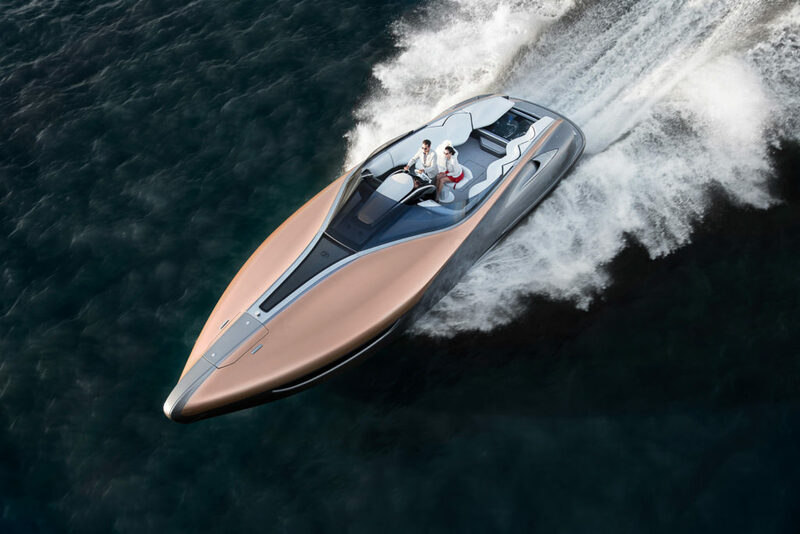 If you want a yacht built with a car company badge on it you’ll have to get the Aston Martin or Mercedes Benz yachts. 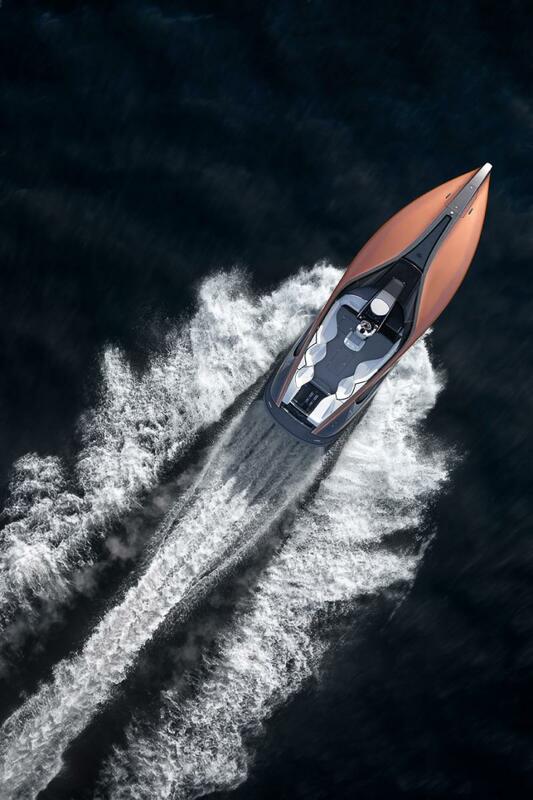 Using partially traditional yacht building techniques, Lexus married the Sport Yacht with techniques used in the LFA supercar such as hand-laid woven carbon fiber cloth and a composite material called “carbon fiber reinforced plastics” to save almost 2,200 pounds, which not only improved the overall strength of the Sport Yacht, but also reduced the resistance and drag at high speeds. 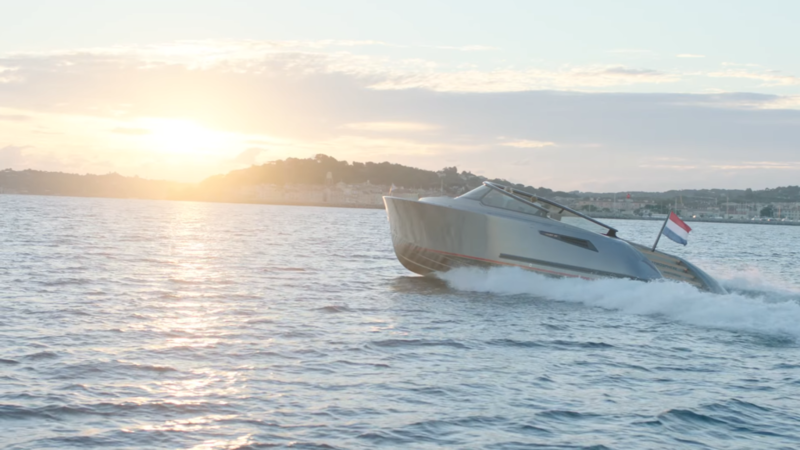 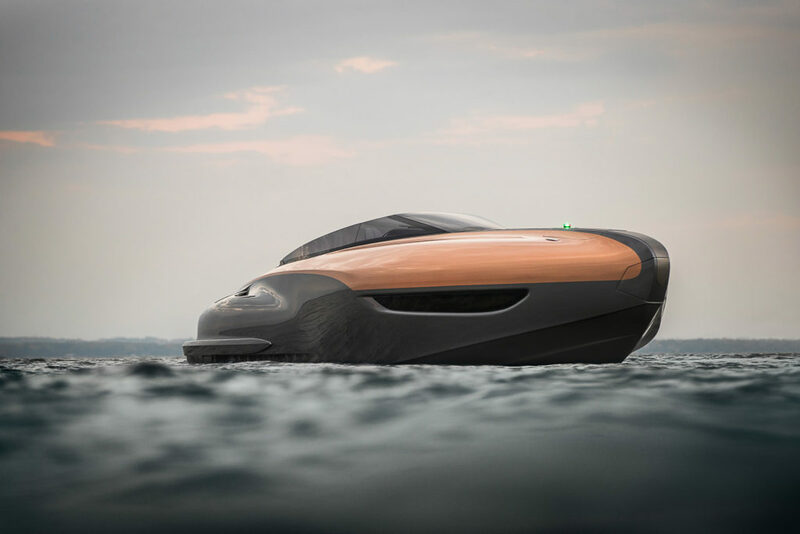 “This concept for the Lexus Sport Yacht allowed us to explore how Lexus design language could be applied to a maritime lifestyle. 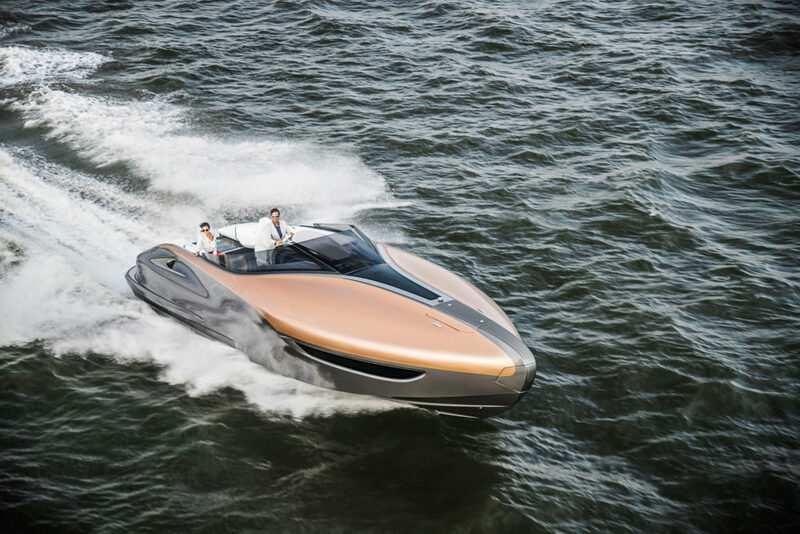 For the Lexus Design Center this project has been very exciting. 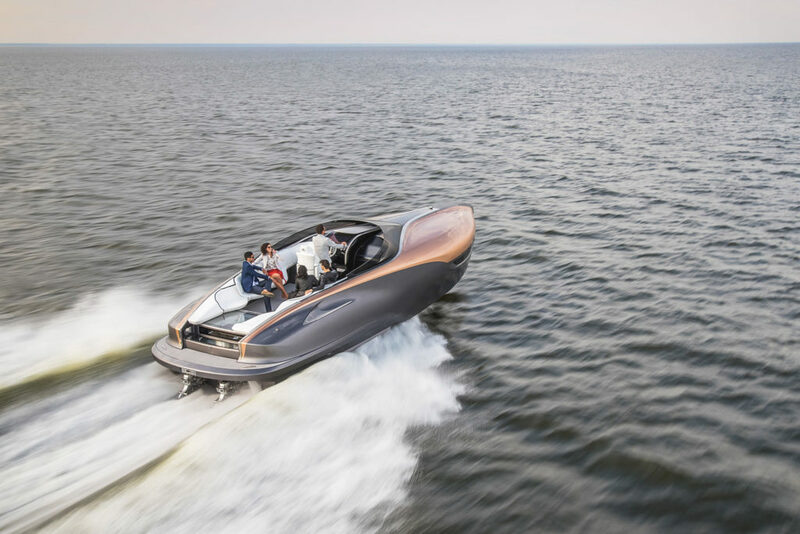 The effort is valuable to us as it stirs our creative energies and pushes our imagination to design and lifestyle possibilities outside of the automotive realm we know well,” said Yoshihiro Sawa, Executive Vice President of Lexus International. 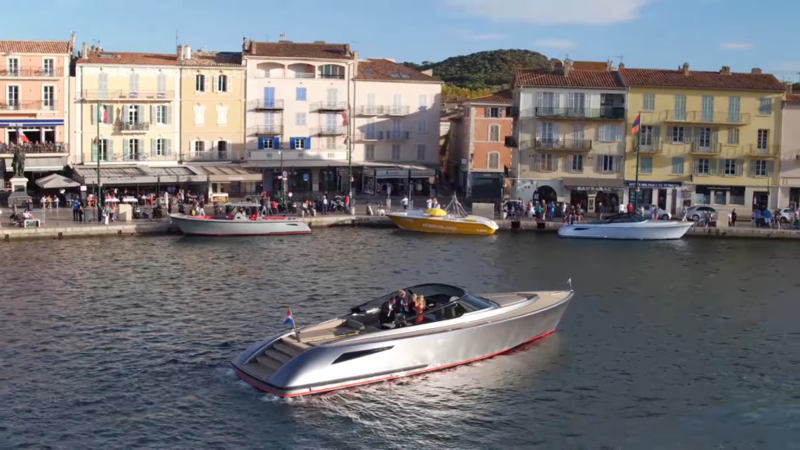 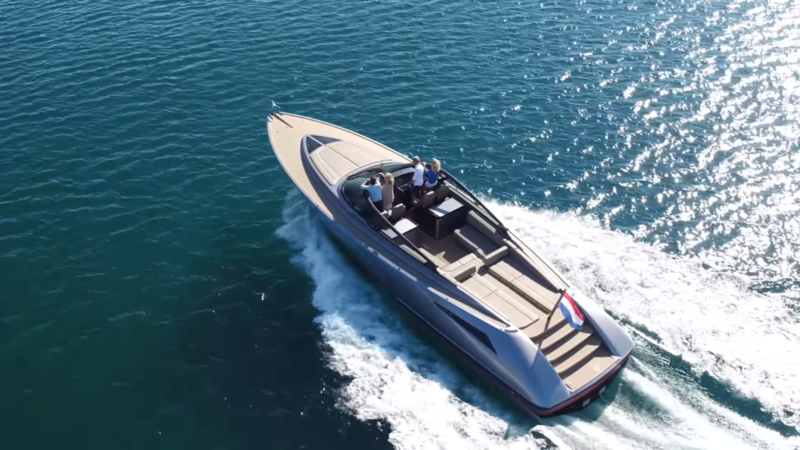 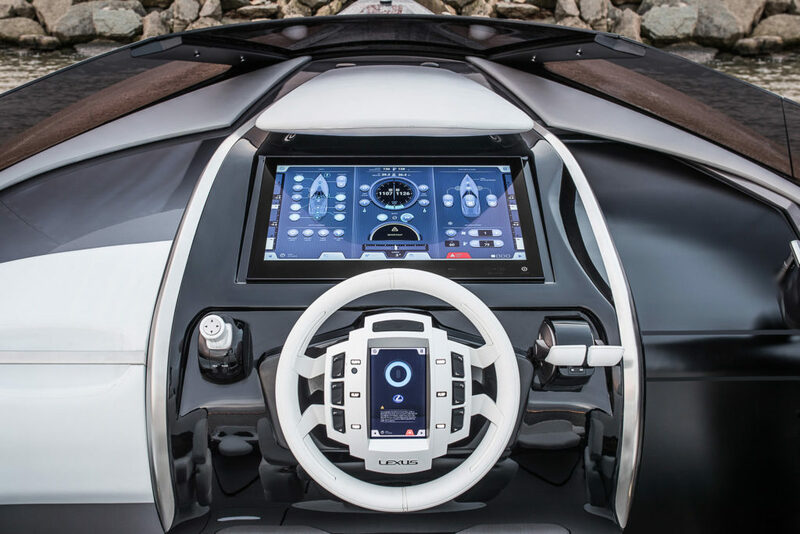 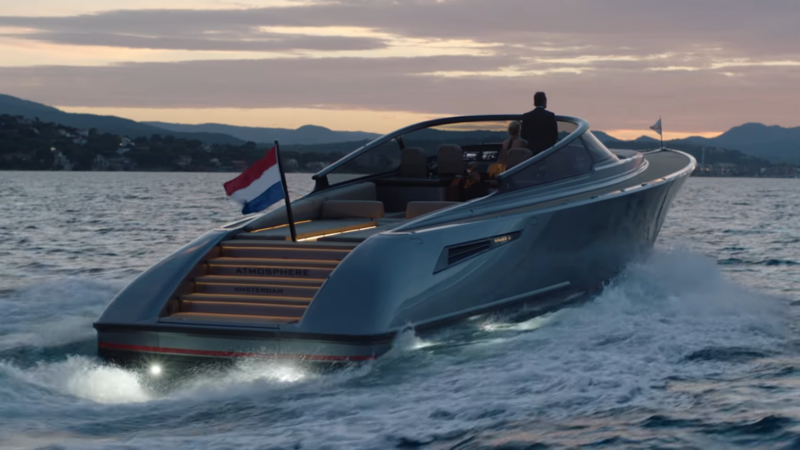 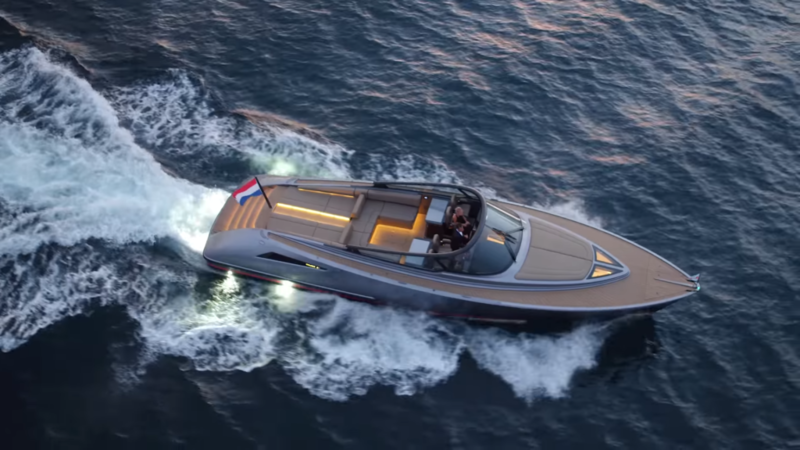 The Sport Yacht Concept includes captain controls and monitors in the form of color touchscreen panels, similar to what you’d find in the company’s road cars. 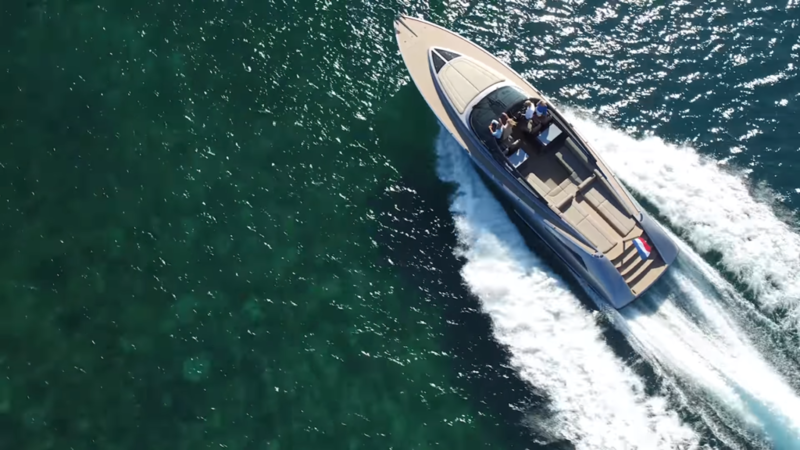 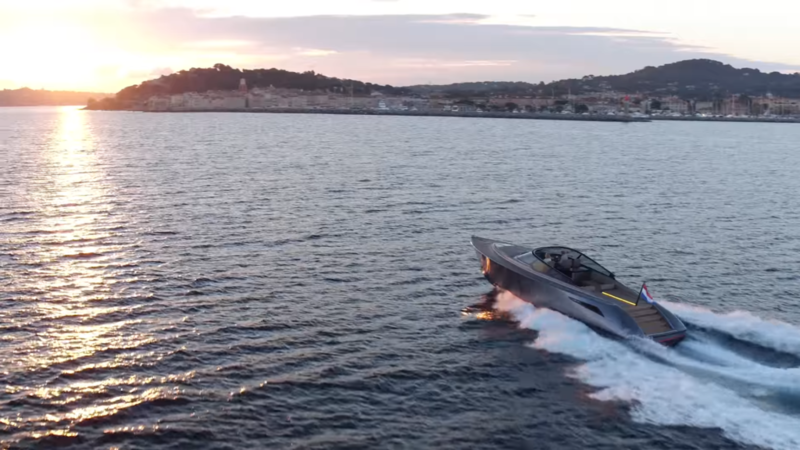 It also features GPS, digital charts, surface radar, underwater sonar, and a luxurious cabin outfitted with a sofa, table, air-conditioning, a two-burner stove, sink, and refrigerator. 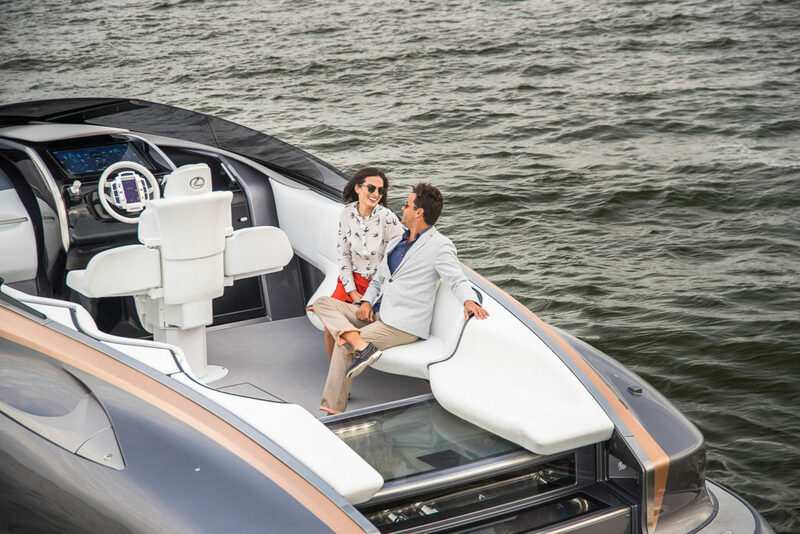 Further adding to the overall experience, Lexus installed a fully integrated audio-video system and Revolution Acoustics surface-mounted drivers and a Mark Levinson amp. 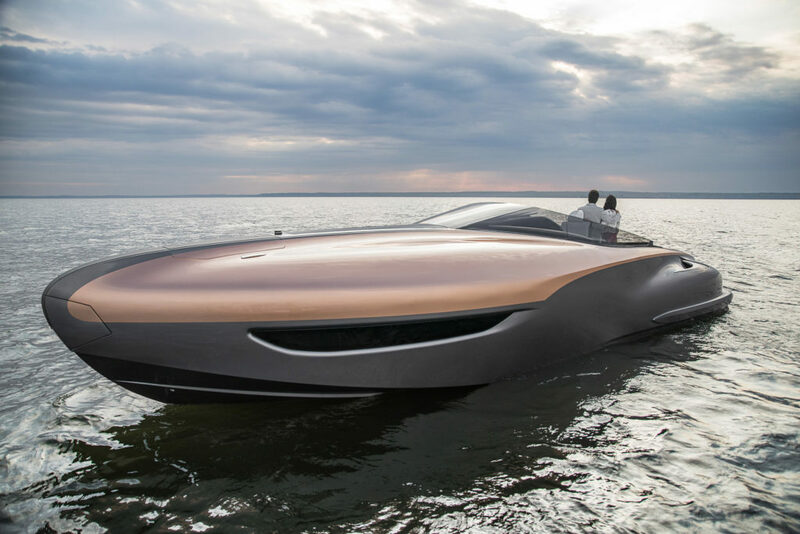 Unfortunately, the Lexus Sport Yacht the company revealed is a bespoke project that Lexus has no intention to put into production. 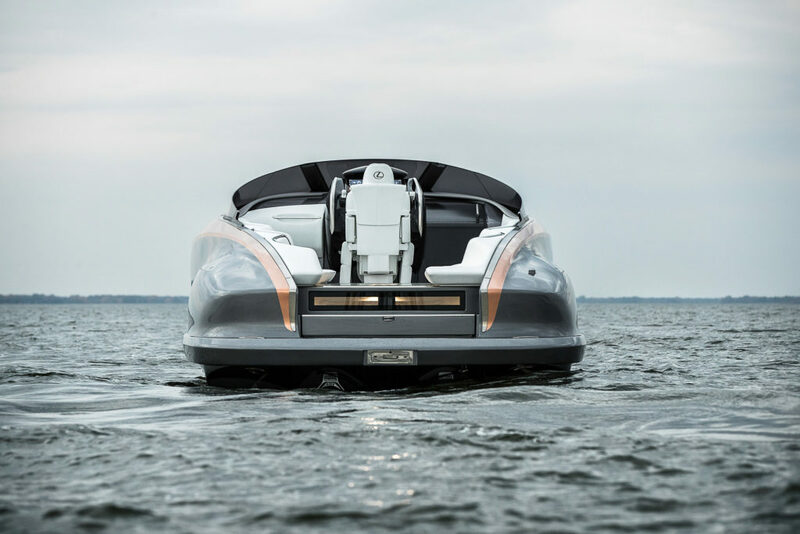 Too bad about that, but we’d still enjoy taking it for a weekend cruise.